A fun unique way to decorate paper or fabric is making print blocks. 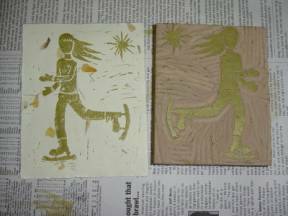 This is a guide about making linoleum block prints. Linoleum blocks can be used to print cards, make your own wrapping paper, or simply for art. 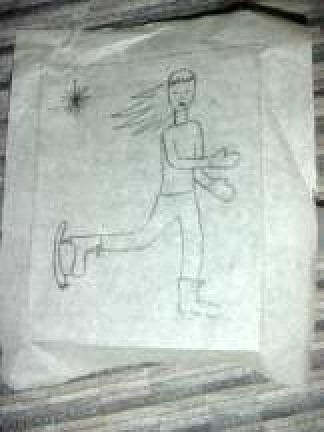 First you draw the image you want on a piece of tissue paper the size of your block. 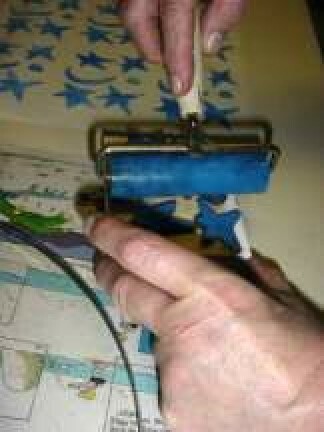 Then turn it right way up and tape it to your block and trace your image again. You can skip all these steps by just directly drawing the image on the block, but that does not allow for mistakes. 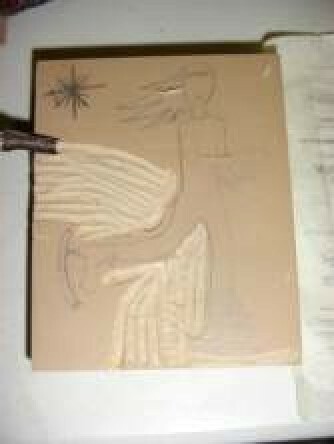 When the image is on the block you can start to carve. Carving around the image as shown above can be harder and takes longer, but I like the outcome better. 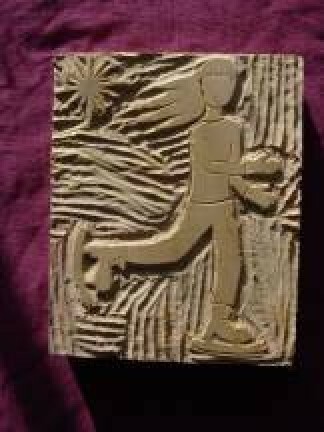 When you have finished carving, you can start to print. 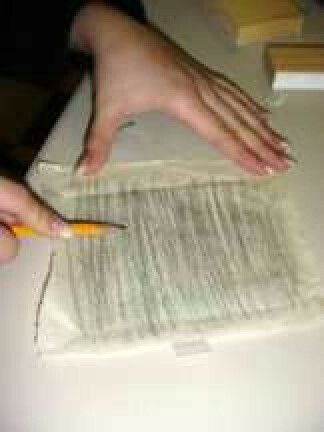 You can make corrections after you have made a print. 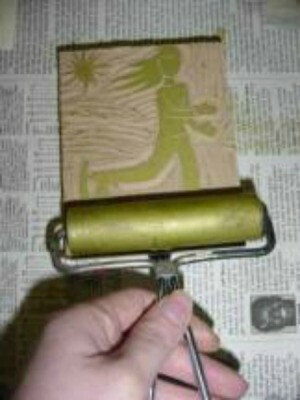 To make a print you want to put a pea-sized blob on paint on a plate and roll it out with the roller. When it gets tacky you can roll it on your block. Roll on an even coat of paint. 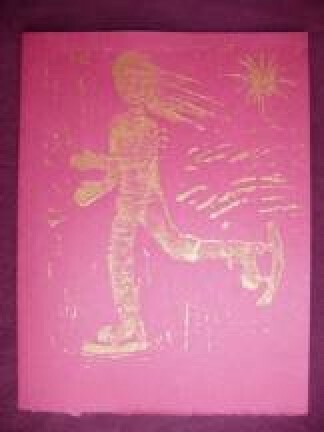 Then place it on the paper you want to print on, press hard then carefully turn it over and rub on the back of the paper to make sure the image transfers well. Let your print dry. Now you can glue it on to another piece of paper to make a card, frame it, or print the same image multiple times on a large piece of paper and use it as wrapping paper. 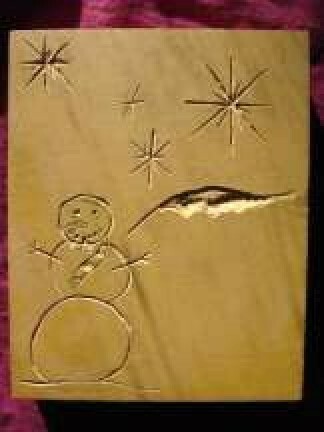 Another form of stamp you can make is with insulating foam. You can get this at your local hardware store. 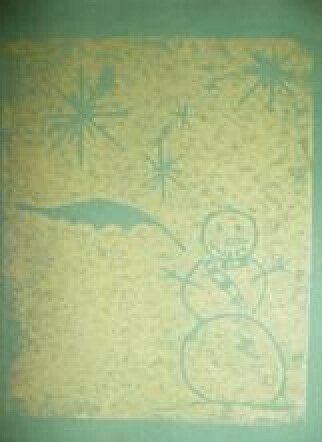 It is the insulating foam you can put around your door to keep cold air from coming in; it has tape on one side. 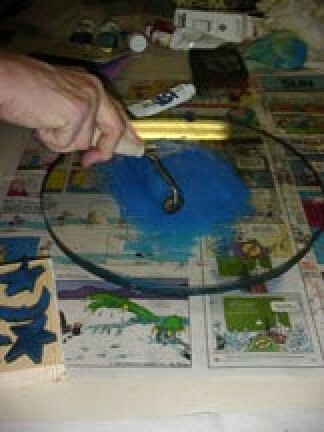 You will want to use foam that is fairly thick, so you will have room to cut out bigger shapes. 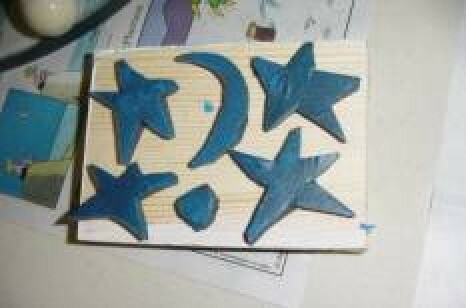 Cut out what shape you want, take off the paper stripping and place the foam on a block of wood. I like your clear and easy instructions for linoleum block printing. I want to get started in it but don't know exactly what to buy. 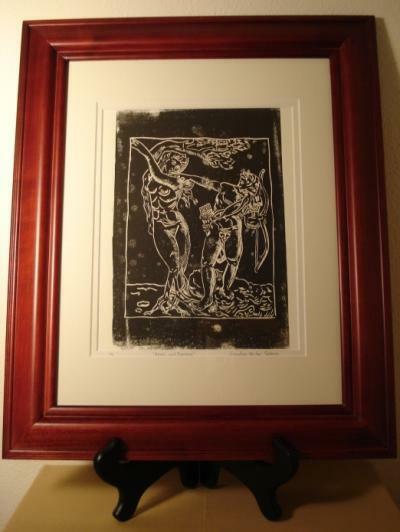 One website said you need to make a wooden frame to hold your linoleum block, but I see you don't use one. Also, I recall when I was a teenager (many years ago!) 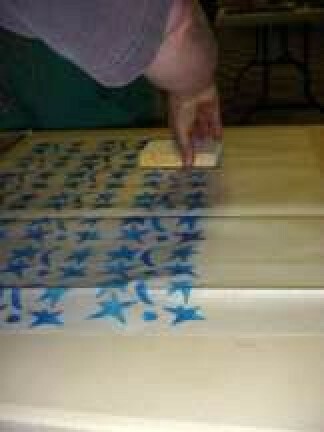 doing this, I had to soften the linoleum with an iron. Do you have to do that with today's materials? Thanks for a reply. more questions, I'll try to answer them the best I can. Thanks for sharing your tips & ideas with the rest of us. 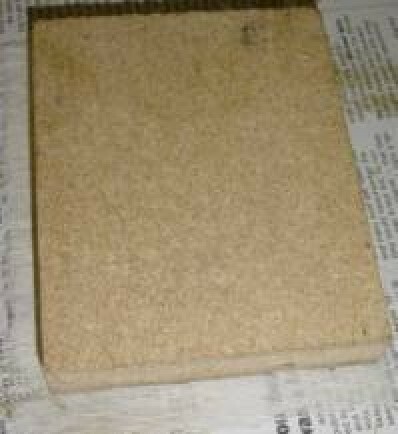 I certainly like your creative idea about "Making Stamps with Insulating Foam". 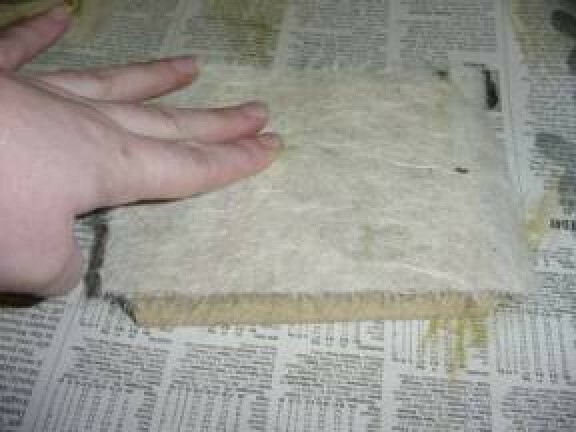 Do you ever have a problem with the insulating foam's adhesive eventually failing to stick? I'm a relief print artist myself and always look through the internet to find unique and creative ideas. You have been a great inspiration.